Triple Staining Kit for 2 Mouse and 1 Rabbit Abs. 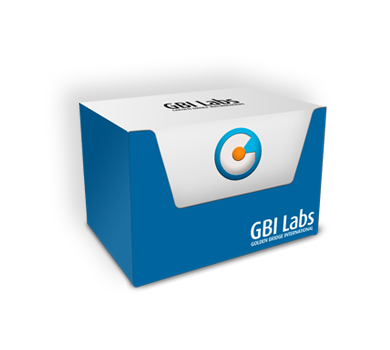 GBI Labs supplies high quality polymer HRP and AP IHC detection kits to detect mouse, rabbit, goat, rat, Armenian hamster, sheep, guinea pig, and chicken primary antibodies on human and animal tissues. 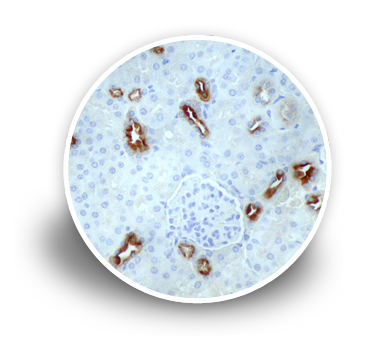 We are the only supplier offering more than 50 products for IHC double and triple staining kits on the market. 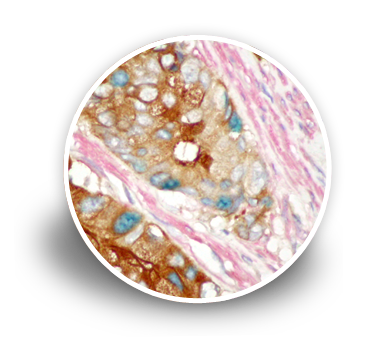 Multi color staining allows reviewing 2-3 targeted proteins on one tissue section. 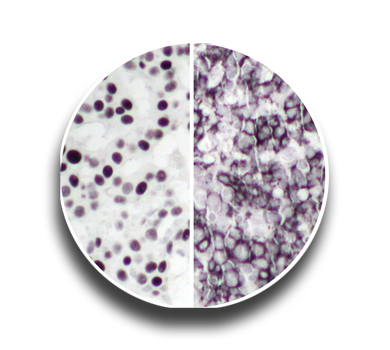 GBI Labs' Polink-DS (double staining) kits detect almost any two combinations of primary antibodies. Some kits are specially designed for reviewing co-expression on the same location in the tissue section. 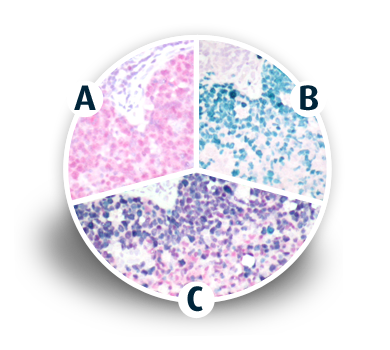 GBI Labs' Polink-TS (triple staining) kits allow detecting 3 antigens with 5-6 hours. Two combinations of colors (brown/green/red or brown/red/black) can be selected at customer's choices. Double Stain for Co-localization - Detect multiple species of primary antibodies in many combinations on human and rodent tissue.